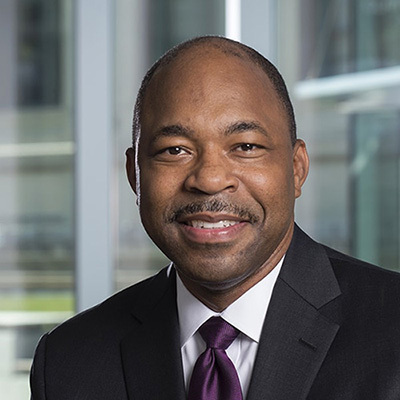 Dr. Rodney P. McClendon, a senior administrator with more than 25 years of progressive leadership experience in higher education, serves as vice president for operations at Carnegie Mellon University. Appointed in 2016, McClendon is recognized for his acumen in building and leading operations teams that consistently deliver service excellence in support of universities’ academic missions. He leads a team of 800 staff who previously reported to three separate vice presidents. In this reconfigured role, McClendon has broad responsibility for the university’s work in key areas of human, physical and technological infrastructure and services, including human resources, facilities management, enterprise risk management, computing services, campus services, environmental health and safety, real estate services, campus design and facilities development, and university police. Prior to joining CMU, McClendon served as strategic partner for Forward Motion, a consulting firm that advises universities and not-for-profit organizations on issues of leadership and governance, strategic planning, diversity, change management, risk mitigation and crisis management. McClendon’s career in higher education encompasses various senior and executive-level roles across academia, including appointments at Texas A&M University as interim assistant director of multicultural services, assistant provost, and chief of staff to the Honorable Robert M. Gates, former president of the university. Additionally, he served as senior vice president for operations at the University of North Texas and acting vice president and CEO of Texas A&M University at Galveston (TAMUG). In fall 2008, when Hurricane Ike hit the Texas Gulf Coast, as chief operating officer at TAMUG, McClendon led the evacuation of the multisite campus and relocation of almost all of the 1,500 students, along with many of the faculty and staff, to the main Texas A&M campus in College Station, approximately 150 miles inland. This endeavor is believed to be the first time an entire institution of higher education was transposed onto another for an extended period of time. McClendon currently serves on the Board of Trustees for the Carnegie Museums of Pittsburgh and the Pittsburgh Parks Conservancy. He has also served on the boards of the National Society of Collegiate Scholars, the Bryan/College Station Chamber of Commerce and the Metropolitan Planning Organization in Brazos County, Texas. A native of Blackshear, Georgia, Rodney earned a bachelor’s degree in banking and finance from Morehouse College, a law degree from Emory University and a Ph.D. in agricultural leadership, education and communications from Texas A&M University.